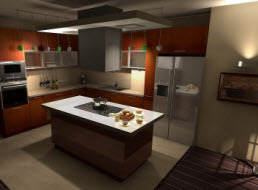 Welcome to Southwest Appliance Repair of San Antonio, serving San Antonio, Texas and the surrounding areas since 2008. We perform fast, friendly and professional appliance repair on all major brands of washers & dryers, dishwashers, stoves, ranges & cooktops, garbage disposals, ice makers, refrigerators, freezers, air conditioning units and more. Family owned and operated, we are licensed and insured for your complete protection and peace of mind, the knowledgeable service technicians at Southwest Appliance Repair of San Antonio have provided quality and affordable appliance maintenance and repair services to homeowners in San Antonio Texas and the surrounding areas for over 8 years. Our reputation for quality service at reasonable prices is well known in the community. 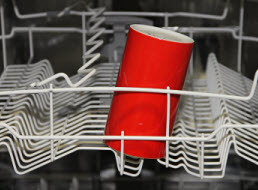 If the major appliances in your home need repair, don’t despair! Contact the professionals at Southwest Appliance Repair of San Antonio today! 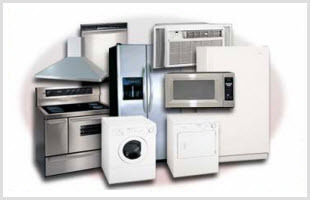 We service all major brands including: Admiral, Amana, Frigidaire, GE, Kenmore, KitchenAid, LG, Jenn-Air, Maytag, Samsung, Sears, Wards, Whirlpool, and many more. Our skilled service technicians pride themselves on striving to exceed the quality service that our customers have come to expect regardless of the manufacturer. Their knowledge and commitment to our customers ensures that each service repair ensures a level of excellence that cannot be touched by our competition. Your washing machine and dryer not only work hard they are two of the most relied upon appliances with in your home. With so much use, the washing and dryer in your home need regular maintenance and occasional repairs to perform at optimal performance levels. 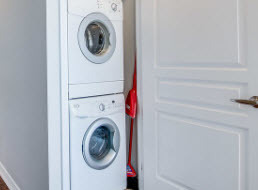 Your skilled Texas Appliance Service of San Antonio technicians will thoroughly inspect your washer or dryer, analyze the problem and complete all repairs promptly. 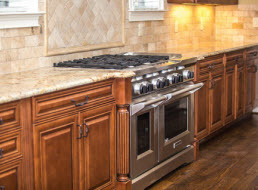 When your stove or oven malfunctions or stops working, contact the experts at Southwest Appliance Repair of San Antonio to take care of your stove and oven repairs including erratic temperature controls, oven wont bake or broil, self-clean feature malfunctions and much more! Our expert repair technicians will have your range or oven operational and ready to start cooking again quickly and efficiently. Some of the most common problems that occur with gas stoves and ovens include worn out ignition wires. Defective burner gas valves along with worn out ignition wires are dangerous and should be repaired immediately. If you are experiencing ticking sounds from your range or problems with flame control including a flickering flame, contact the skilled service and repair technicians at Southwest Appliance Repair of San Antonio for prompt repair services. Keeping your refrigerator in good working order is imperative to preserving the health and wellbeing of your family If your freezer is malfunctioning you may not even realize it until the items in it begin to thaw out. Contact the professionals at Southwest Appliance Repair of San Antonio for fridge and freezer problems. We can repair your refrigerator and freezer problems including replacing broken thermostats, dirty vents and broken seals. At Southwest Appliance Repair of San Antonio we offer a variety of services to repair and service all brands of air conditioning units. Air conditioner appliance malfunctions are common and the knowledgeable professionals at Southwest Appliance Repair of San Antonio are a phone call away and will respond quickly to get your system up and running. Call and schedule your appointment today! © 2014 SOUTHWEST APPLIANCE REPAIR. All rights reserved.